Pirate Stage Combat on Wreckless Crew! 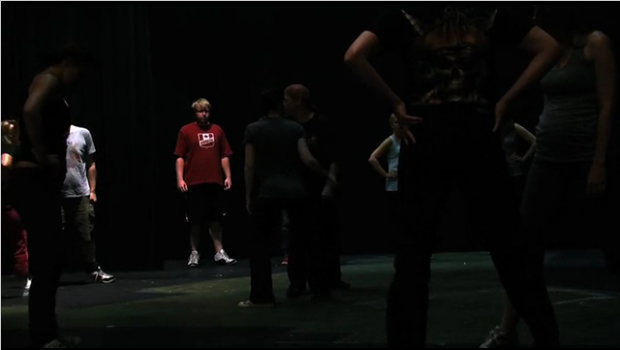 Remember way back in August 2011 when I attended a pirate stage combat workshop? (Read about it here, here, here and here!) Well, while this was going on, there was a film crew doing a mini documentary/promo video about the workshop, which I never saw. Fast-forward to now, and one of my OKTC students told me “Hey I just saw you on my friend’s website!” Sure enough, there I am on the Wreckless Crew website! From start to finish, finding a new perspective is at the very heart of all that we do at Wreckless Crew Productions. With a solid reputation for excellence, innovation and superior craftsmanship, our young crew of Award winning technical artists endeavours to surpass each client’s expectation through the creation of one-of-a-kind, savvy, imaginative and beautifully produced products that are original in both design and execution. Superior production value at reasonable cost makes Wreckless Crew Productions your One Stop Broadcast Shop, able to meet your needs in whatever capacity you may require, be that Music Video; Film; Communication and Training Aids; computer generated Graphics; or Music Production.